Every morning I wake up so proud of what Australian farmers are putting on our tables and so excited that I get to be a part of that process. I want every Australian to have the opportunity to feel how I feel about Australian Agriculture, because it feels great! A one hour train commute and a desk job in the CBD might not be the first thing that jumps to mind when you think ‘career in Agriculture’ but that is how I have found myself a rewarding career in the Australian Dairy industry. I was born in Gippsland, Victoria on the family sheep property and have moved throughout rural Victoria and NSW following my family’s mixed farming interests. 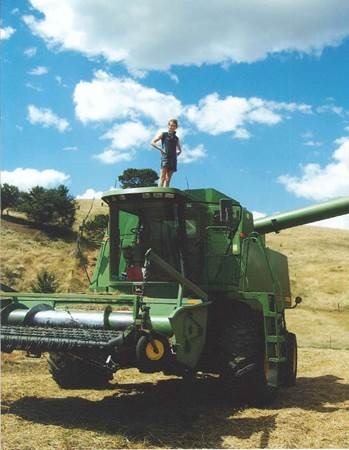 After the wool crash in the early 90s my parents decided to hit the road managing farms, dad soon becoming an expert in the art of growing grass seed. This stroke of fate meant moving house 9 times and living in Omeo, Euroa, Holbrook and Khancoban to name a few! Growing up on a mixed farming enterprise meant lending a hand to dad on a whole range of tasks, most of which (bar rock picking and cleaning the header!) I thoroughly enjoyed. When I wasn’t riding horses and travelling to rural Ag shows across the country my summers where quickly filled driving headers and handling the constant supply of agistment stock. As it happened I was not the only female driving headers in the Upper Murray region and a group of us soon became sought after for our affinity with the beastly machines. In the summer of 07/08 we were noticed by The Land and featured on the front page which we all found quite a lark! 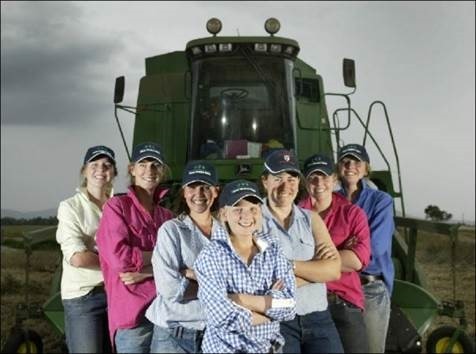 The female header driving crew, photographed by The Land, me second from left. Looking back I was very lucky to have two parents so vehemently passionate about farming and engaged in progressing their farming practices. I have no doubt this positive, proactive attitude has helped propel me into a career in Agriculture. Although my feminine touch was clearly appreciated during harvest, cows were what stole my heart. When there was agistment stock on the farm that calved I was always the first out in the paddock, a sharp eye trained to any calf looking helpless without its mother. Although dad accused me of calf robbing it was the generosity of a few soft hearted beef producers which lead me to gather a small number of orphaned poddy calves each year. 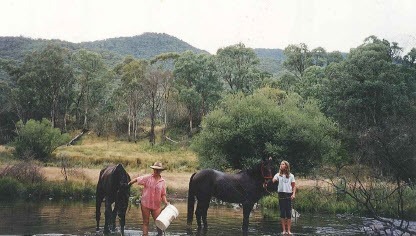 A lesson in responsibility and earning money quickly developed into a lifelong passion and so after completing boarding school and going on a gap year I moved to Melbourne to complete a Bachelor of Animal Science & Management at the University of Melbourne. I quickly took to university like a duck to water and was awarded a Dean’s Honour award and a number of scholarships for academic achievement. Although I knew I wanted to work with animals finding the right direction has been a constant exercise of probing and questioning. Whilst at University I undertook work experience assisting PhD students working on sheep metabolics in an underground lab, I worked in an abattoir in Brisbane, did vintage wines at a large commercial winery in Griffith, and spent some time helping out the local vet. And at the end of all that I was still none the wiser on what my career would shape up to be! Checking out the diversity of careers is something I encourage every young person interested in a career in Ag to do, as you have no idea how many possibilities are out there! Something that I believe is not adequately addressed in the current model of Agricultural education is that Agriculture is a highly valuable industry, not just a career. 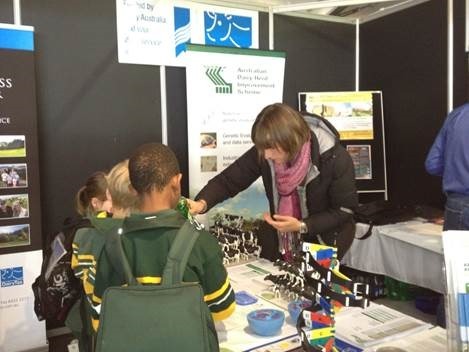 I hope to educate Australia’s next generation of consumers that Agriculture is an industry full of possibilities. I want to raise awareness in kids and adults alike that a whole range of people, in country and city, are involved in getting food on their table and that those people are the cornerstone of our economy and society as we know it. I hope to open people’s eyes beyond the stereotypes of farming (as amazing as it is) to realise the plethora of career opportunities out there for people, in dairy, and the broader food and fibre industry. 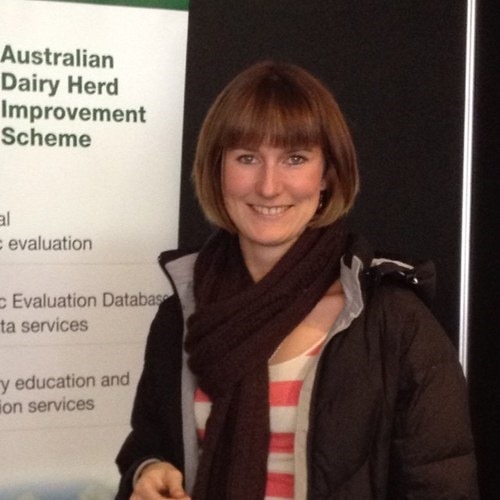 My current role as Extension Officer with ADHIS involves delivering the latest science and technology in genetic improvement to Australian dairy farmers. This is done through one on one engagement, public speaking at industry events, and designing tools to make decision making easy. It is this blend of travelling to rural areas talking to farmers about real issues and staying up to date on the latest in science and research which I love about working in the dairy industry. ADHIS is a non for profit organisation which means our core focus is always on getting the best information and resources out to every dairy farmer. Having organisations like this dedicated to the betterment of the industry is an incredibly valuable resource and I am not sure farmers realise just how lucky they are! Working in the CBD in close association with organisations like Australian Dairy Farmers (ADF) and Dairy Australia has offered me a behind the scenes insight into the big issues facing the dairy and broader Ag industry. Issues such as milk price, animal welfare & the risk/benefits of free trade are issues which I am deeply passionate about. 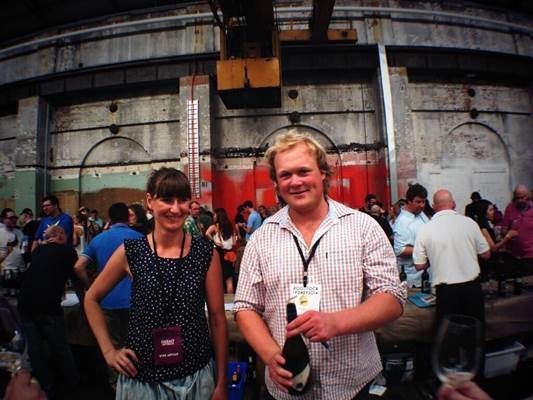 Whilst at University I was lucky enough to meet my now husband, a winemaker on the Mornington Peninsula. Being a new member of the family winery has given me a fantastic experience in a unique sector of the food and fibre industry. The wine industry’s ‘ground to glass’ production process connects the ‘food and fibre’ and ‘food and wine’ industries in a way not commonly seen in other agricultural industries. Being exposed to and engaged in this end of the food chain has allowed me an insight and perspective into a demographic deeply passionate about food yet largely ignorant of farming. It is one of my big life goals to strengthen the relationship between the Food and Agriculture industries into what should be a symbiotic relationship. I have recently been appointed a board member on the Mornington Peninsula Food Industry Advisory Body, a position I hope will begin me on this journey. Coming from the country to study and now work in an urban environment has highlighted to me the importance of maintaining and strengthening the connect between food producers and food consumers. With declining populations in rural Australia as farms and farming communities ‘get big or get out’ there is less and less opportunity for people to engage and connect through the traditional channels of a family members or friend’s farm. With these relationships less likely to happen organically I believe it is essential that we look to new models of communication and strengthen our voice to foster passionate, informed consumers and future generations of food and fibre producers. If Australians want to remain in control of our food supply chain it is essential that we build strong and long lasting relationships with each other and every member of our community.